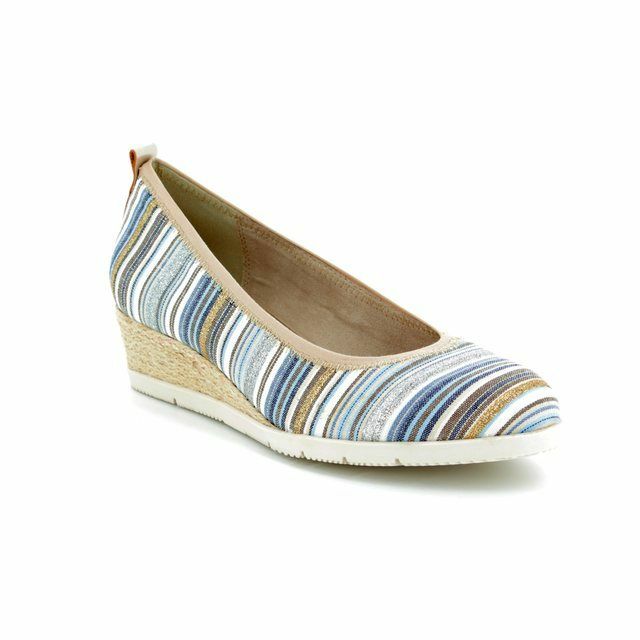 Tamaris bring us 22301/20818 DILLIAN in Blue Multi. 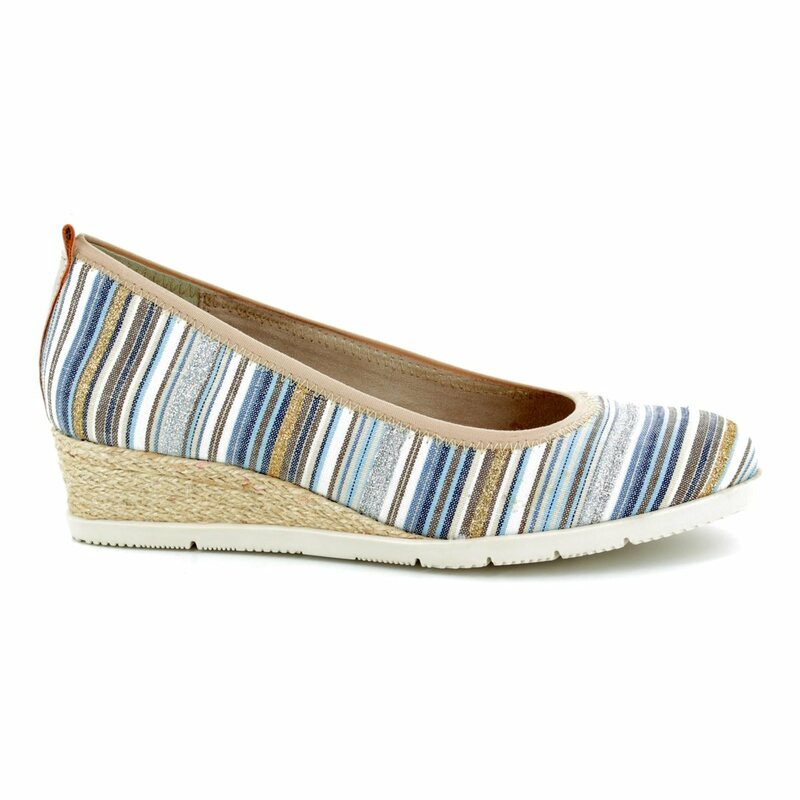 This espadrille-style wedge shoe has a fabric upper that features a striped design which incorporates different shades of blues, neutrals and metallic to create a gorgeously striking look. 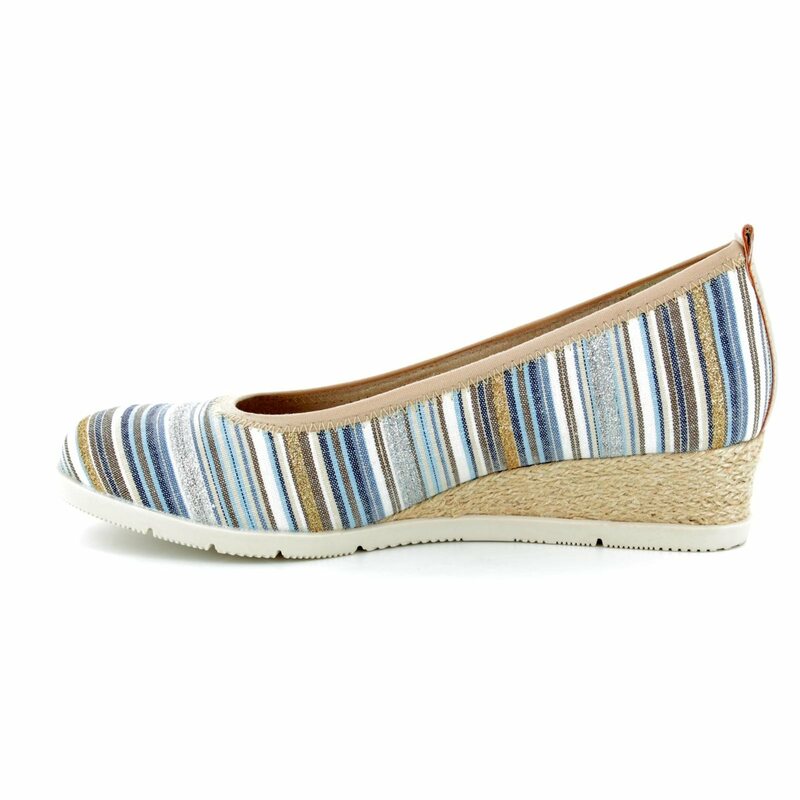 The heel has rope detailing to create the espadrille look while a substantial sole helps with grip to increase stability. 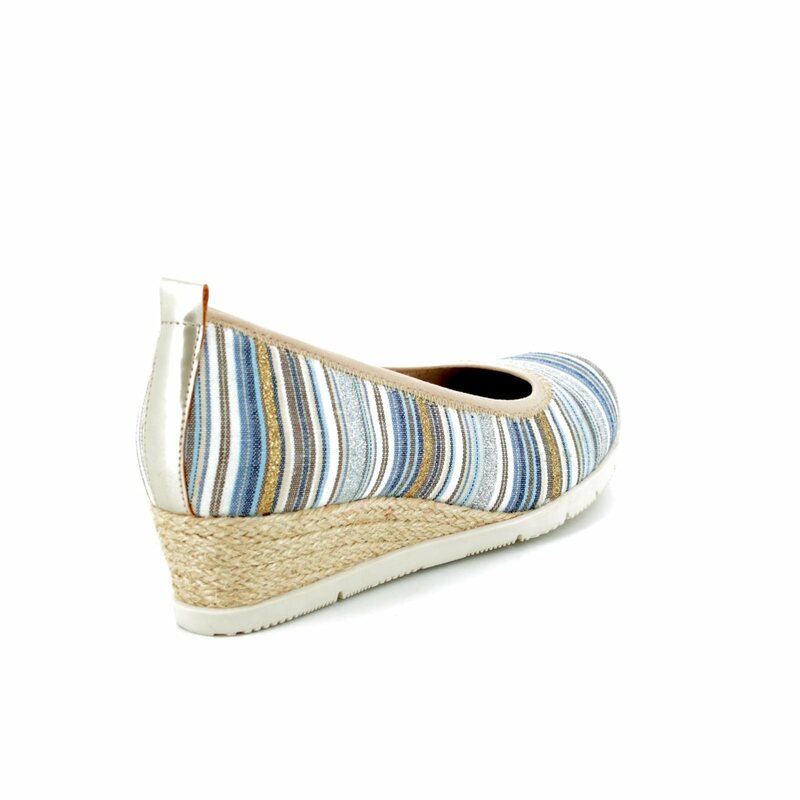 These are an elegant option to create a range of looks from day to night for those who want a comfortable summer shoe with a closed toe. 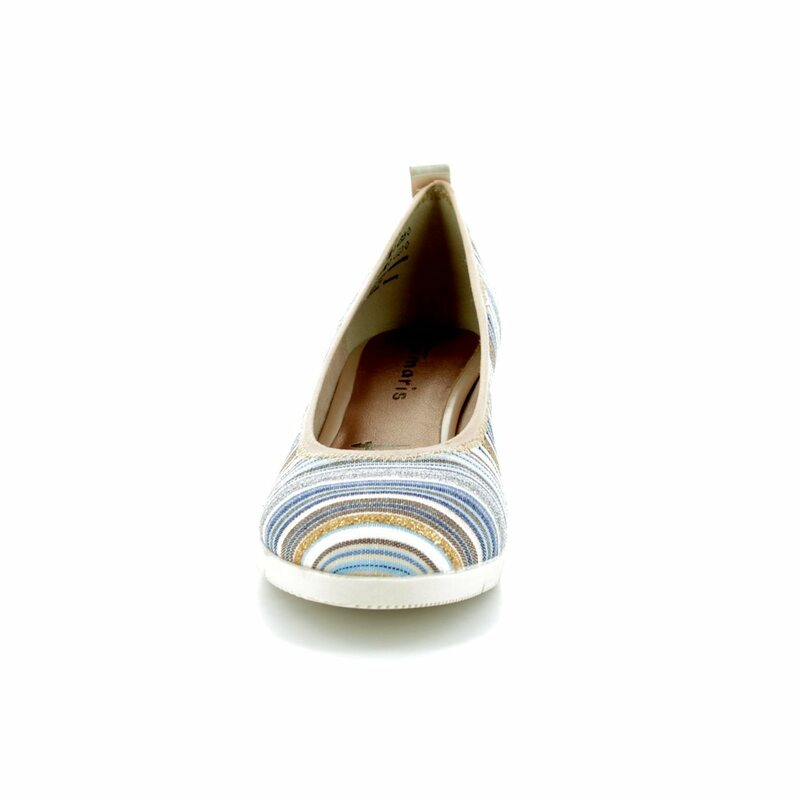 Buy your Tamaris shoes from Begg Shoes, an official Tamaris stockist.